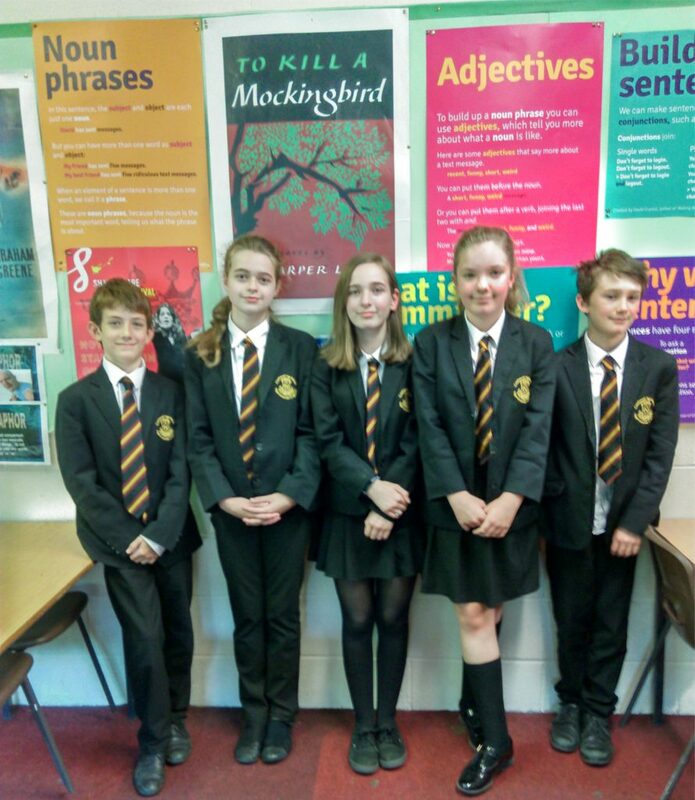 Crickhowell Community Library is managed by Crickhowell High School in partnership with Powys Library Services for the benefit of its students and the community. Some improvements have been implemented to update the interior, which is a lively, welcoming and friendly space for all. Facilities include free Wifi, internet access, a printer, scanner, photocopier and the daily newspapers. We’re also working to develop a programme of activities throughout the week. The library is also available to hire for meetings and other activities outside the normal opening hours. For more information, contact the library on 01873 810997. If you visit Crickhowell Library, take a moment to visit the lovely community garden, created by the hard work and enthusiasm of a group of volunteers, which turned a rather unloved and underused space into the community garden we have today. With support from Crickhowell High School, Crickhowell District and Community Partnership, the Friends of Crickhowell Library and the Percy Davis Trust, there are now picnic tables, a bench and pollinator friendly planting. The garden has a home-made feel with planters made out of pallets, and a re-purposed cabinet used as a bug house. Volunteers of all ages painted signs, spread bark, planted herbs and filled the bug house. People became involved and added their own personal touch to the garden. 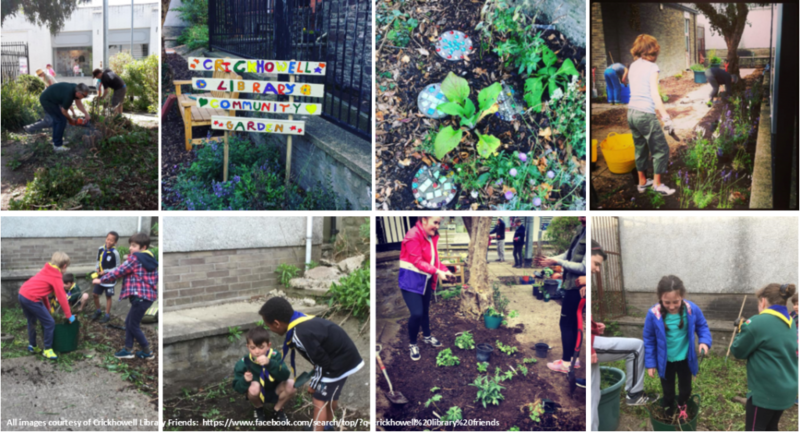 More garden activity days are planned for the future and if you’d like to find out more email friendsofcricklibrary@gmail.com. You can also keep up to date with what’s happening at Crickhowell Library, either through our web pages here or by following the Friends of Crickhowell Library Facebook page at https://www.facebook.com/crickhowelllibrary. 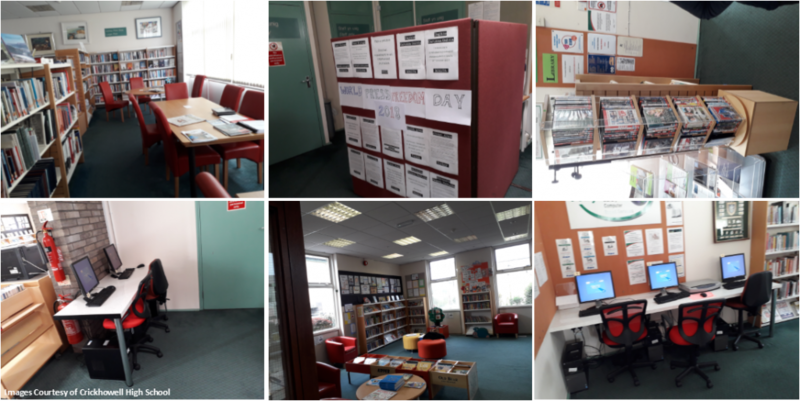 To find out more about what Powys Libraries have to offer, please visit their website at https://customer.powys.gov.uk/libraries. Alternatively you can follow them on Facebook at https://www.facebook.com/powyslibraries/ or Twitter at www.twitter.com/powyslibraries. Join FOCL 100 Club. Support our local library and win cash prizes every month! The FOCL 100 Club is a private lottery which aims to raise valuable funds every year for the benefit of Crickhowell Library. Money raised is used to maintain and improve the services that the library provides. Membership will cost £24 per annum (£2 per month) per number allocated, paid by standing order (preferably) or by cheque. You may ‘buy’ as many numbers as you like. Each month, half the income generated will go towards the Friends fund to support the Library and half the income generated will be divided between three lucky winners. For example, with 100 members, monthly income will be £200. £100 will go towards supporting Crickhowell Library. The more people that join, the more money for the Library and for prizes! Anyone aged 16 or over. Note: by agreeing to participate in the Friends of Crickhowell Library 100 Club you automatically agree to become a Friend of Crickhowell Library. This is simply to comply with the Gambling Act 2005 and does not commit you to become involved in the day to day activities of the organisation. Note: Jan and Pete Bates who run the club encourage all members to pay by S/O and receive prize winning payment by BACS. This makes administering the club much easier. 1. The object of the Club is to raise funds to support Crickhowell Library. 2. The Club will be run under the supervision of the Friends of Crickhowell Library Management Committee, who will also administer the Club. 3. Club membership is open to anyone aged 16 or over. 4. Members must fill in an application form (attached) and where applicable ie those members wishing to pay by standing order and be paid (should they win) by BACS, complete the detachable part of the application form accordingly which must be presented to their bank. 5. Entry will be by subscription of £2 per month per number, paid annually (£24) in advance by standing order (preferably) or cheque. 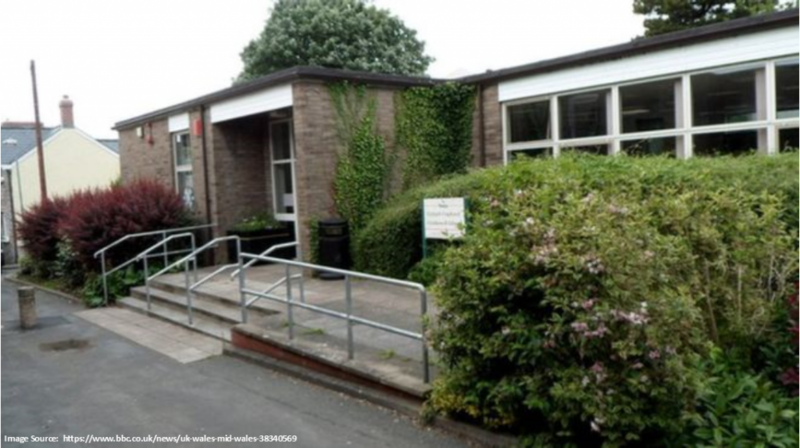 Payments to be made to Friends of Crickhowell Library 100 Club. Members’ first payment will be paid by standing order or by cheque on March 1st 2016 or as soon as possible thereafter. If paying by standing order, please see Part B of the application form below. Members may have more than one number. 7. The draw will be held monthly, at the end of each month. 8. Winners will be contacted directly, and names will be posted at Crickhowell Library. Payments will be made by BACS (Banker’s Automated Clearing Service) where the winner’s bank details are known, otherwise by cheque. 10. The Friends of Crickhowell Library reserve the right to adjust the prize monies periodically according to the numbers signing up. 11. Registers will be kept recording the name and address of each member, the number(s) allocated to them, and the subscriptions and date that funds are received from them. 12. Unless otherwise advised, a member will be deemed to have left the Club if his or her renewal of subscription remains unpaid for a period of one month. 13. If a winner cannot be contacted the winnings will be placed into Friends of Crickhowell Library Funds after 6 months.